JL Audio SB-IN-G35CPE/10W1v3 Stealthboxes are hand-crafted from fiberglass and/or Advanced Molded Composite (AMC) materials. 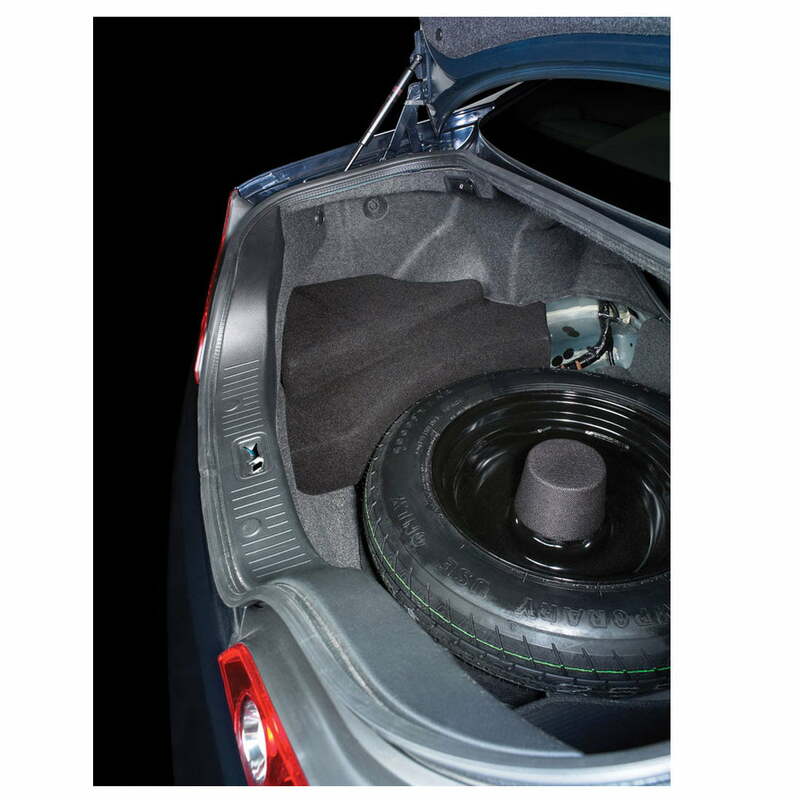 For a vehicle with a trunk small enough to warrant specific instructions on how to load two golf bags, we knew we had to integrate this Stealthbox® without taking up too much space. 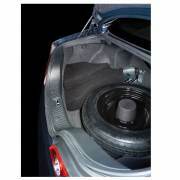 The final design tucks under the trunk floor, wrapping around the spare tire. The selected location ensures the woofer is protected and out of sight, while providing optimal sub-bass performance. Each Stealthbox is laminated, ground, joined, and finished by hand in the USA. Proprietary techniques and materials developed by JL Audio through years of fiberglass manufacturing experience ensure consistent quality and performance. The Hard Data: Contains one 10W1v3-2 subwoofer in an a sealed enclosure. 300 watt power handling. Wired for 2 ohm mono. Installs under trunk floor. The trunk carpet covers the Stealthbox®. The factory amplifier must be removed or relocated with installation. Will not fit models equipped with 4-Wheel Active Steer Package. Contains one 10W1v3-2 subwoofer in an a sealed enclosure. 300 watt power handling. Wired for 2 ohm mono. Installs under trunk floor. Will not fit Infiniti G35 Sedan (4-door), G37 or Nissan 350Z, Altima Coupe.